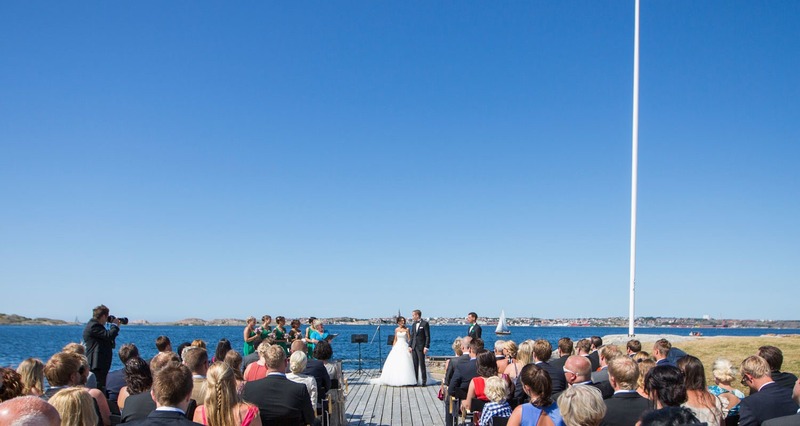 Regardless of the time of year, Gullmarsstrand is a magical place for weddings and parties. The proximity to the ocean, combined with the shifting landscapes of the different seasons create an incredible setting. Big or small, we will help you with the planning along the way so that by the time your wedding day comes, you can just enjoy the joy of two becoming one! Together, we will create the perfect wedding for you! Below, you will find wedding inspiration and ideas, but naturally you and your wishes will be our main focus! Faraway guests are invited to a light dinner the night before the wedding. Choose a mingle-friendly buffet, sea delicacies, classic barbecue buffet, the variations are many and, based on your wishes, we are happy to create your own arrangements. Here, your guests will get to know each other in a relaxed setting before waking up to a perfect start to the wedding day preparations. The wedding day then starts with a lovely breakfast buffet, and since most people are already in place, you as well as guests have time to make themselves ready for the day’s all festivities. The next day, the festivities are usually concluded at the common breakfast buffet, much appreciated as you can take the opportunity to thank everyone who shared your big day! Or why not bring up the breakfast in the room, where you have the opportunity to calmly take in all the impressions and enjoy time together and maybe there after meeting your guests for a lunch. "Spring Boost" Good Friday at 3.30-5pm, upload with new energy for the spring. Kristineberg has been around since 1877 and is the world's oldest marine station for research and education. Go on a guided tour in our neighborhood with Salta guiden. Stay up-to-date and receive tips, news and affordable offers directly. Sign up for our newsletter – written in Swedish. Stay updated and get tips, news and great offers. Subscribe to our newsletter.